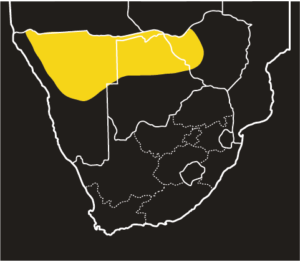 Map indicating the distribution of Anchieta’s Cobra (Naja anchieta), within Southern Africa. 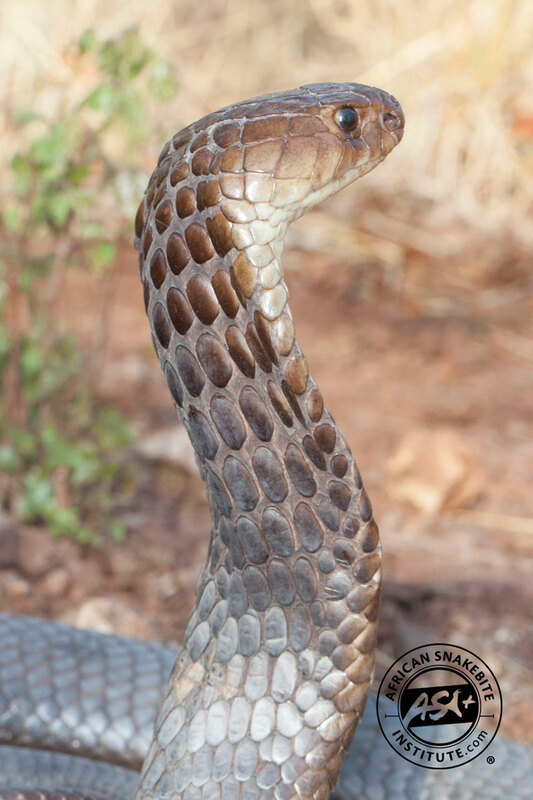 Anchieta’s Cobra is very similar to the Snouted Cobra in both appearance and behaviour. It occurs in western Zimbabwe, northern Botswana and northern Namibia (and elsewhere further north). Individuals are orange-brown to purple-brown and banded varieties are also found. 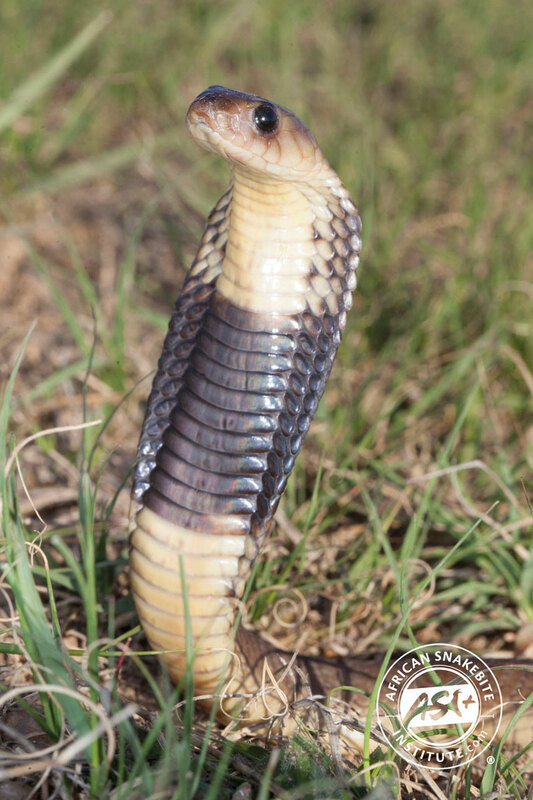 This snake has 17 midbody scale rows (the Snouted Cobra has 19) and the scales appear much larger than in the Snouted Cobra. 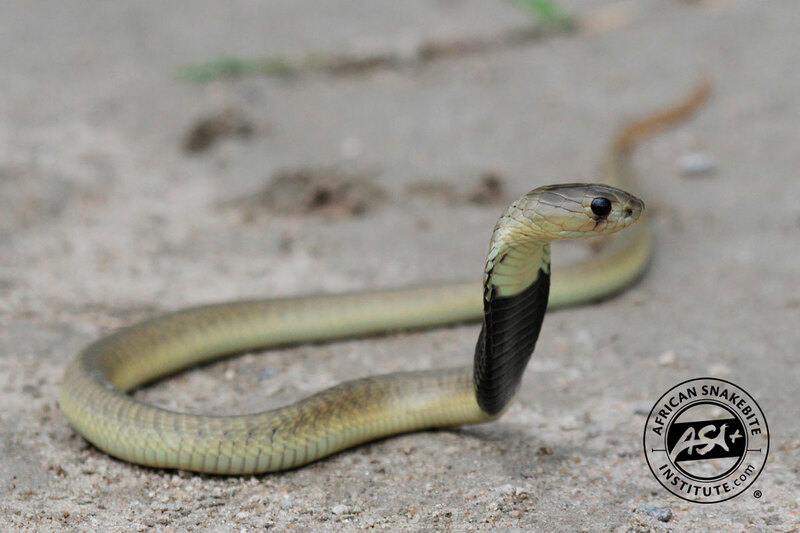 Maximum size is around 2.3 m.
Like many other cobras this snake will often have a permanent lair and may be found near pans. 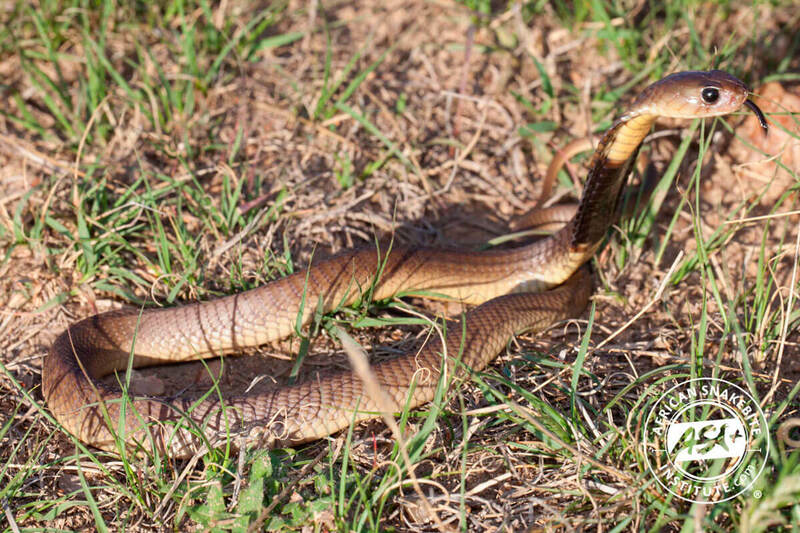 It seldom features in snakebite incidents but will spread an impressive hood if threatened. Like the Rinkhals this snake may also play dead. 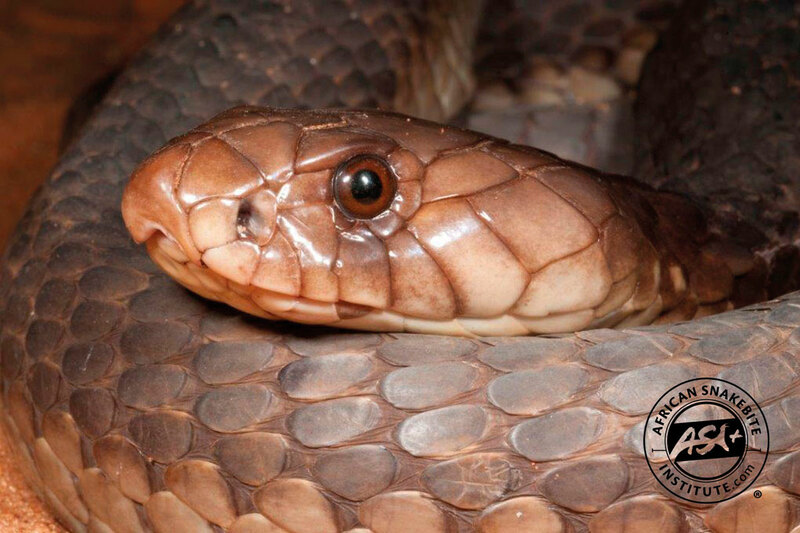 The venom of this snake is predominantly neurotoxic but may also cause blistering and tissue damage. 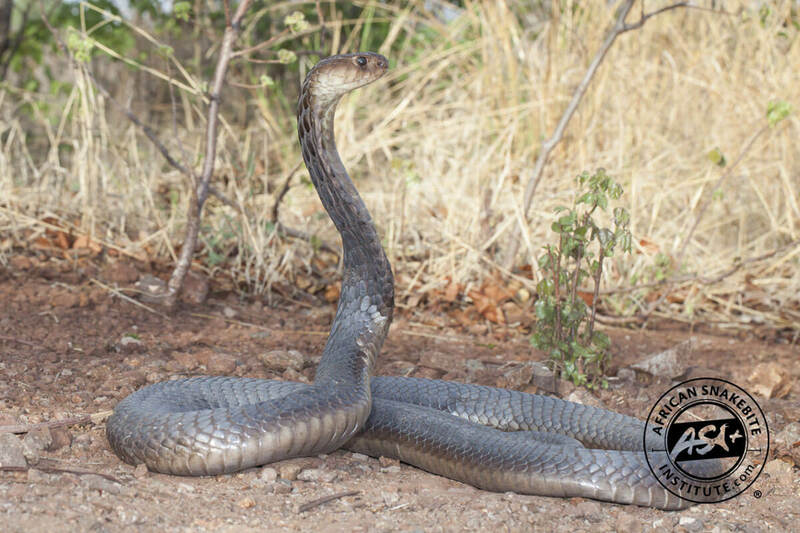 Because of its size a bite from Anchieta’s Cobra could result in alarming symptoms. Antivenom is effective. 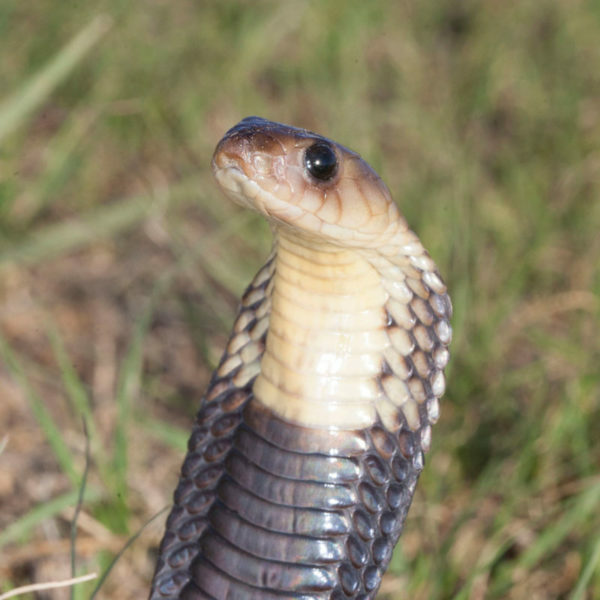 This snake does not spit its venom. (Naja anchieta). Photo by Stu Nielsen. (Naja anchieta), Katima Mulilo, Namibia. Photo by Cliff Dorse.